With the increased involvement of young people in Hate Speech, Cyber libel, IPOB attack, Boko Haram, and other violence-related activities in Nigeria; it seems like this is a right time to convey young people and resound to them their unparalleled role in peace keeping and nation building. This is the motivation behind #Sweat4Peace2017, an event to mark International Peace Day 2017 in Nigeria. The event will hold on Saturday, September 16th, 2017, simultaneously in three locations; in Lagos - FCE, Akoka, Yaba; in Abuja – Millennium Park, Asokoro (Beside Transcorp Hilton) and in Port Harcourt - Port Harcourt Polytechnic, Rumuola. The event organized by Galaxy4Peace and Ecoviewpoint is sponsored by PayPorte and will feature Peace Talk, Interactive Sessions, and various sporting activities. Ambassadors from the United Nations, popular artists, policy makers and other stakeholders will be in attendance at all three locations. 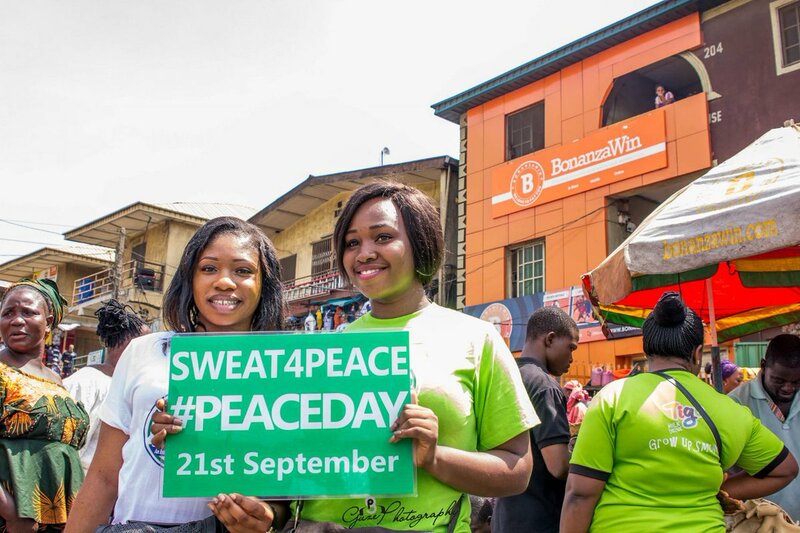 Being a youth-focused event, online participation using #Sweat4Peace2017 is active while, participation is opened to the general public, with emphasis on youths. September 21 is set aside annually by the United Nations as International Peace Day. The theme for 2017 is "Together for Peace: Respect, Safety, and Dignity for All", with the aim to draw attention to the promotion of respect, safety, and dignity for everyone forced to flee their homes in search of a better life.